May be I should start by asking if you care for future generations-even a little, do you? Carbon Zero has made this its top priority. I guess you must be asking yourself how and why? OK, do you know that nearly three billion people across the globe cook every single day using open, three-stone fires, or rudimentary stoves that burn biomass such as wood, agricultural waste, animal dung, and charcoal? Cooking with these traditional cook stoves is inefficient and grossly polluting, harming health and the environment, and contributing to global warming. In many places worldwide, women must walk for hours to collect firewood, risking their safety and sacrificing energy and their valuable time that could be used to earn a living. While often overlooked as a major contributor to the global burden of disease, cooking over open fires indoors is the largest environmental health risk in developing countries, and exposes women and the young children to high levels of smoke that is very dangerous to their health. Burning dry firewood can save money, time and resources. From experience a properly installed wood-burning stove should produce little smoke. That’s because newer technologies have better combustion. Did you know that better combustion technology produces a hotter fire and that a hot fire releases little smoke and requires less fuel? In fact smoke coming out of your chimney is simply – wasted energy. At Carbon Zero we have taken it our responsibility to fight climate change thus has installed thousands of energy efficient cook stoves in many parts of the country (Kenya) and beyond. This was and has been a tough process of replacing old three stone stoves with more energy efficient Carbon Zero Stoves. The process has not been easy but we do not regret since the benefits that the local communities are enjoying as a result are tremendous, we wish we could do even more. •	Saves money, fuel, time and resources. •	50% more energy efficient. •	Uses 1/3 less wood for the same heat. •	Produces 70% less particle pollution indoors and out. •	Reduces indoor and outdoor wood smoke pollution which has been linked to cancer, asthma and other serious health conditions. •	Improved combustion efficiency reduces CO2, methane and black carbon emissions. •	Saves billions in health benefits each year. Now I know you know why it’s vital to embrace energy efficient cook stoves. Carbon Zero has frequently told this story, and it will continue because we know that if we do not protect the environment today then we are jeopardizing the lives of generations to come. It has taken a while since Carbon Zero Kenya created a small-scale improved cook stove manufacturing enterprise in the district of West Kisumu in Kenya. Just to offer an overview of the project, the project will take place over the course of six months, during which time, local female artisans will be trained by CZK to build and sell 900 energy-efficient bucket stoves. Carbon Zero will provide all the necessary training, materials and advertising to create a self sustaining stove enterprise in addition to ongoing logistical support. The artisans will sell the stoves at a highly subsidized rate directly from their workshop and via monthly stove distribution trips. Baseline assessments of local cooking practices as well as a stakeholder consultation were already carried out by our local field staff, confirming a high demand for improved cook stoves in the area. 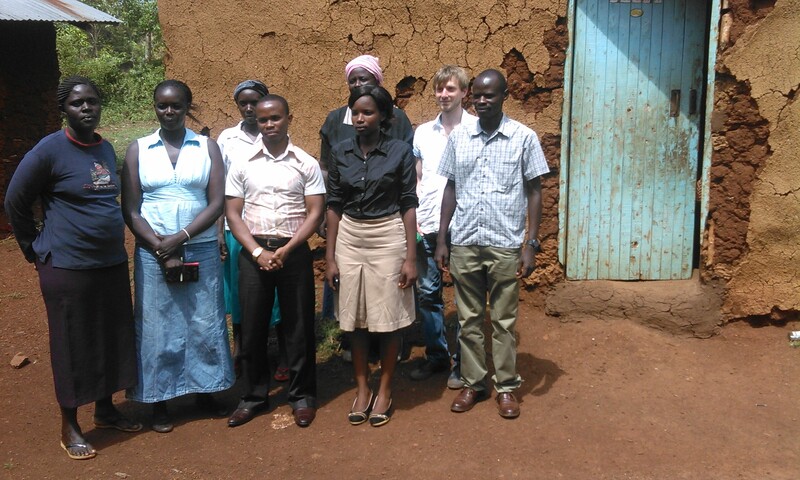 Its good news to confirm that the project implementation is now on and last week on Friday Co2balance staff were in Kisumu West to have an introductory meeting with the women group that will be working on this project. The women were taken through the project and were very happy to be part of this process. In addition to creating a self sustaining micro business run by women, the project will address the negative social, environmental and economic impacts caused by the combustion of unsustainably harvested biomass, (wood), through the distribution of 900 improved cook stoves to families at a highly subsidized cost. The stoves will help reduce pressure on local fuel supplies and eliminate indoor pollutants – providing families with an improved standard of living and a cleaner, easier and healthier way of cooking. When the grant funding period ends, the artisans will be able to reinvest the money from stove sales in new stove materials. As the distributed stoves will be included under a Gold Standard Certified Emissions project run by our UK based project partner, Co2balance, the stoves are guaranteed to earn carbon credits, thus ensuring the long-term subsidization and sustainability of the project. After the successful roll-out of 900 stoves, both CZK and co2balance UK Ltd remain committed to monitoring and further expanding the project.